Choose Justice and Equality Over Reparation: Is it Time To Change the conversation around Black people? This article makes Interesting and unique points, many I agree with wholeheartedly, especially the importance of intergenerational financial and emotional supports. Both are lacking in black communities. Fortunately, the latter requires no money. But I disagree with experts. We should not expect anything except to fight for equality and justice. We need community metrics to measure those outcomes and others. 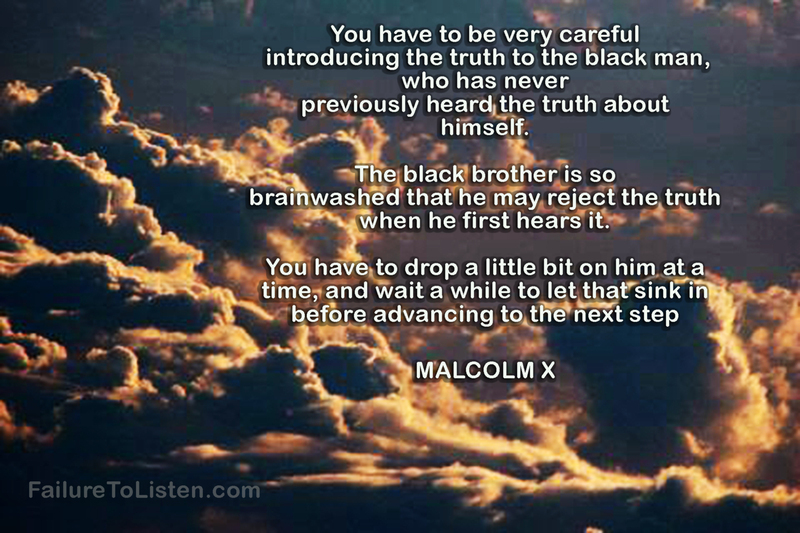 We need the expertise of our experts to educate, mentor or sponsor blacks within black communities. Many successful blacks in positions of influence do not use their influence to help the masses of blacks or those blacks outside their social (inner circle) class and that is a pity. These experts are often called upon to be the voices of blacks, please be MEANINGFUL voices of productivity for our people. Blacks have no foundation for sustained success in helping other blacks up the ladder– unlike other successful culture that planted and built foundations of success along the way. In other words, create infrastructures to help other blacks instead of relying on other cultures or making racism a scapegoat and crutch. If I grew up thinking every weird look or negative response from whites was due to racism I would not have completed college. Those thoughts are self-defeating. I used to be embarrassed by Rev Al Sharpton. Today, I respect him more than many other black leaders. Whites labelled him because he brought race, discrimination and bigotry to the dinner table. In retrospect, it took guts. And I thank him for his contributions and support of poor black folks. He spread awareness…we need to move on…change the discussion to self-efficacy. Finally, based on my experience, many blacks feel entitled to reparations or focus on blame rather than self-improvement. Everything is a gift. I tire of excuses ….whining without action is not productive but rather destructive and a waste of time. Excuses layered on top of underlying self-doubt, negativity and mistrust of the world. The latter three is where we as blacks need to start as a community. Blacks need to feel safe, to feel a sense of well-being and self-efficacy. Self-Efficacy will only come with equality, justice, health and access. If only those great leaders were here today…. “………whether America has truly moved beyond its racist past” That’s a silly question, because America has most definitely NOT! Close the poverty gap? Lmao. That’s even more difficult than closing the gender gap. Even the most progressive countries in that area on the planet still didn’t come closer than 80%! The USA? Overall world ranking (2013 WEF) #23. No government, no system, and no law will ever be able to erase discrimination, racism, poverty, or war. Only when individual values change and human stupidity makes place for some kind of rudimentary wisdom, there’s a chance for this to happen. Opening a bank account for every kid is a good idea. I even proposed once to give every 18 year old US$ 50,000, = to do with it whatever he/she pleases. It’s an easy way to find out who the entrepreneurs are and who are not. But at least ALL people would have a chance to once in their life have some fun, and not only a few privileged ones. Be all this as it may, as long as money is idol, the future of humanity is grim. Remember I once, as a possible alternative, hinted to what Mr. Fresco coined as a resource based economy? The last time I brought that up during a meeting with employees of a world renowned company, I was laughed at. Yeah boxed in common sense is hard to beat, hehe. I liked the concept of “ALL people would have a chance to once in their life have some fun, and not only a few privileged ones” However, I do not think doling out $50,000 would accomplish that…in this country homicide rate of kids at age 18 would increase. …Yes people are that greedy even some parents. Resource based economy in America is exploiting taxpayers money. The key to understanding our systems is to follow the money trail–the motivation and incentive. Why do we think poor people want hand outs? I now recognize it is a ploy. There are many social programs, but what percent of the budget goes toward social programs and poor neighborhoods. I do not trust the integrity of our studies (especially those at Harvard) to provide accurate data because of conflicts of interest. Well in that case……….. no American youngster will receive anything, only the rest will. There is no money in a RBE. That would happen in time….all ploys. What is RBE?